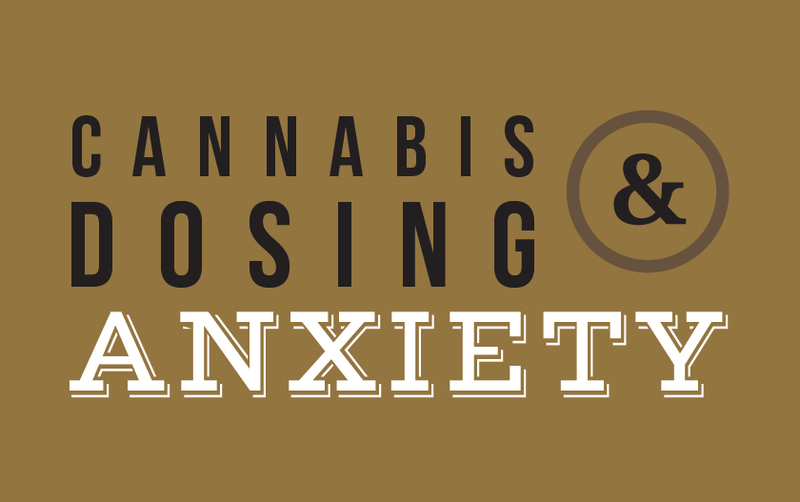 For people suffering from anxiety,cannabis can offer relief by soothing the uneasy mind and relieving tension. Indica-dominant hybrid strains containing the cannabinoids THC or CBD (or both) have been found most beneficial, as sativa-dominant strains have a strong mental effect, and can leave the user “stuck in their head,” which is not ideal for an anxious mind. CBD and THC can help stimulate the brain’s production of various neurotransmitters. Serotonin, which aids depression, is one example. Cannabinoids can also increase the brain’s assembly of anandamide, another neurotransmitter that has been found to regulate stress and anxiety levels. Individuals who suffer from anxiety often have low levels of anandamide in their bodies. There are many cannabis products for treating anxiety, and the best one for you depends on the typical onset of your symptoms. If your anxiety attacks come on suddenly, without warning, a fast-acting medication inhaled or taken sublingually will serve you best. If you can foresee anxiety attacks because they come on at certain times of day or in certain circumstances, a slower-acting – but longer-lasting – capsule may be more suitable. For quick relief, FARM can provide you with a tincture, or our house brand Phoenix Tears. The FARM-brand 1:1 tincture provides equal amounts of THC and CBD, applied by dropper under the tongue. Placing the oil here allows it to be immediately absorbed into the bloodstream, and begin providing relief in minutes. Each one-ml dose of this tincture contains 10 mg of each cannabinoid. This dosage is generally suitable to an intermediate user; a first time user should start with a lower dose of THC, while veteran users may need to intake more of the tincture in order to feel the same effects. The store also carries a Nu brand 1:1 tincture which delivers 15 mg of each cannabinoid per one-ml dose. Note that the CBD in these tinctures will counteract some of the THC’s potency; as such, a single drop may not affect you as strongly as 10 or 15 mg of a pure-THC tincture. FARM’s own, highly concentrated Phoenix Tears are another fast-acting treatment helpful for anxiety; a small portion can be placed beneath the tongue, or in a vaporizer. Staff suggest the CBD Rene concentrate to treat anxiety– derived from the high-CBD plant strain of the same name – contains a ratio of 5:3 CBD to THC. Each 0.05ml dose contains 5mg of CBD and 3mg of THC. A second option to treat anxiety is the 10:1 ratio Phoenix Tears. Each 0.05ml dose contains 10mg of CBD and 1mg of THC. Capsules are another slow-acting choice great for taking your pain relief on the road. Discreet, with precise dosages, each capsule contains a moderate amount of THC (10 mg) or a small amount of CBD (10 or 12mg). FARM also carries Nu 1:1 THC:CBD Capsules, which contains just 5 mg of each cannabinoid – an excellent choice for the first-time.